We followed our recent trip to our son’s family home in the Texas Panhandle with a short visit to Albuquerque, where our main objective was to see the rosy-finches at Sandia Crest. 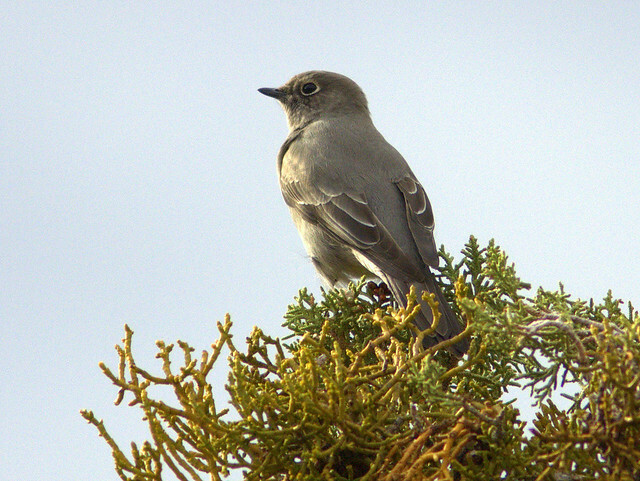 There are many great birding spots in and around Albuquerque. 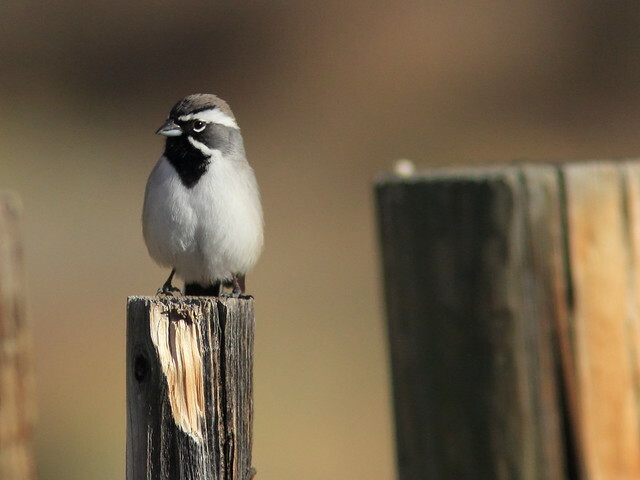 Judy Liddell and Barbara Hussey described them beautifully in their recently released book, Birding Hot Spots of Central New Mexico (See my review here). We only had time to bird a few of them. 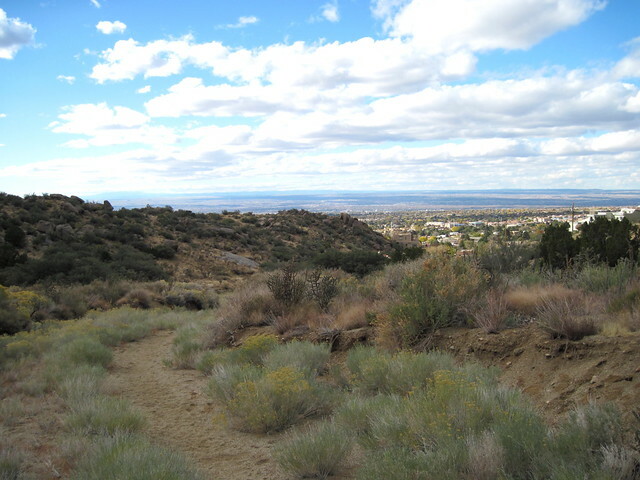 The City of Albuquerque manages an impressively large number of dedicated Open Spaces. On our first full day, driving from our lodging in Albuquerque to Sandia Crest House, we encountered rain and low clouds as we ascended the east side of mountain. Since we knew that the temperature at the tip was in the twenties (F). we turned around and birded Tres Pistolas (Three Gun) Canyon. 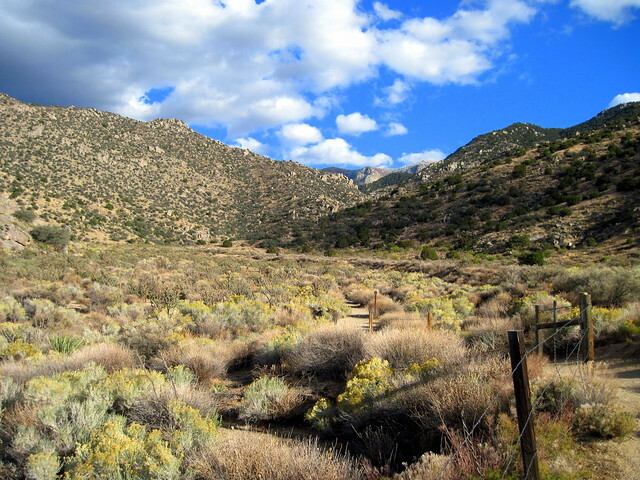 This unimproved Open Space is just off I-40 in the southern foothills of the Sandia Mountains. This photo illustrates the vagaries of mountain weather. Although the sky is blue here and the temperature is in the mid-forties, it is snowing atop the mountains just a few miles beyond. 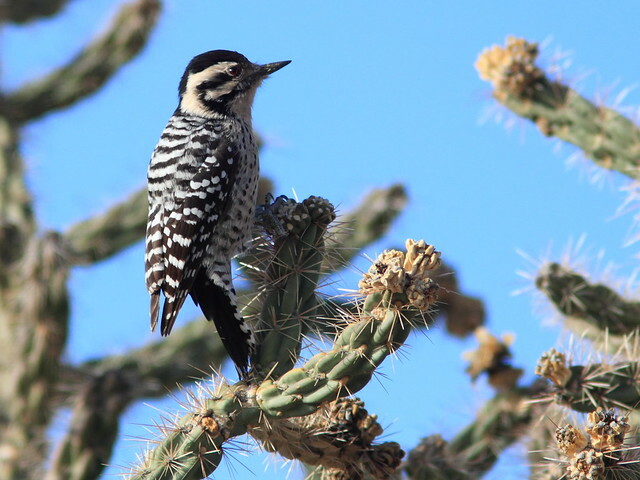 On the dirt road leading to Tres Pistolas, we encountered this Ladder-backed Woodpecker, busily foraging in a Cholla cactus. 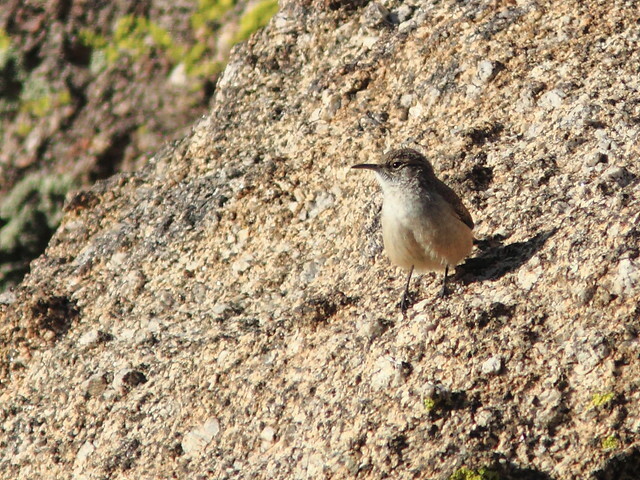 We saw several Townsend’s Solitaires. A feeder in the residential area next to Tres Pistolas was remarkably productive. 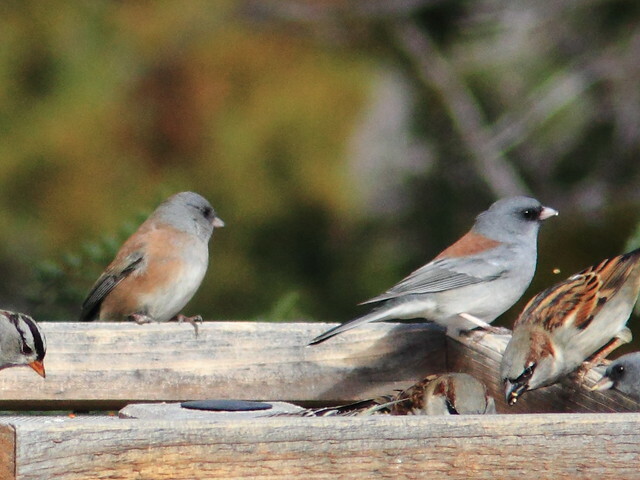 Here, from left to right, a Pink-sided and a Gray-headed Junco, two subspecies of the Dark-eyed Junco, share a meal with a male House Sparrow. 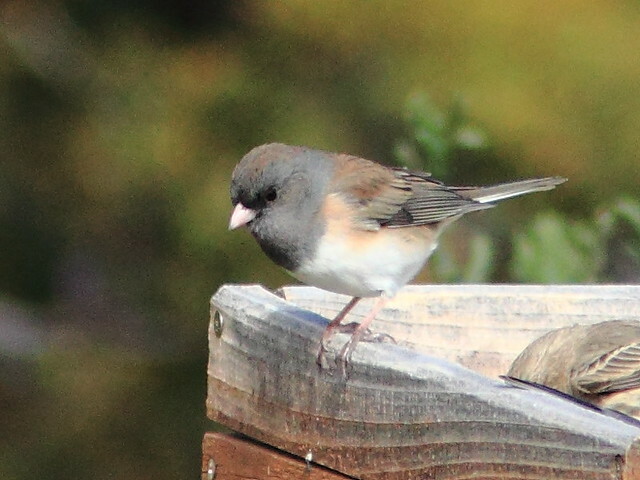 An Oregon Junco also visited the feeder. 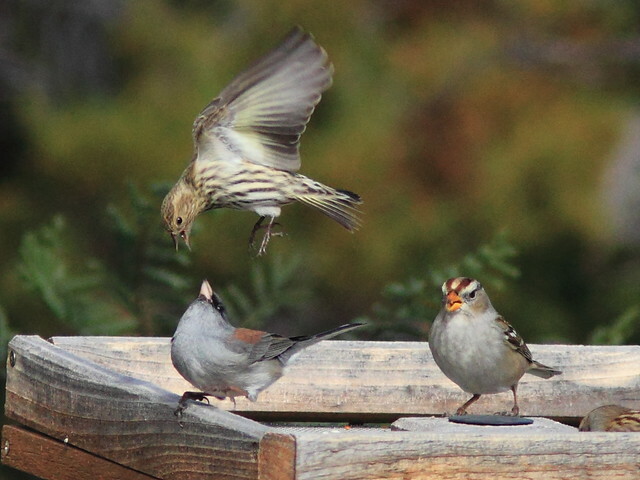 A feisty Pine Siskin squabbled with a Gray-headed Junco as a White-crowned Sparrow looked on. From there we drove down to the Rio Grande Nature Center, where I had been a volunteer docent for eleven years, leading bird and general nature hikes. We parked and immediately walked over to the blind at the east end of the parking lot. 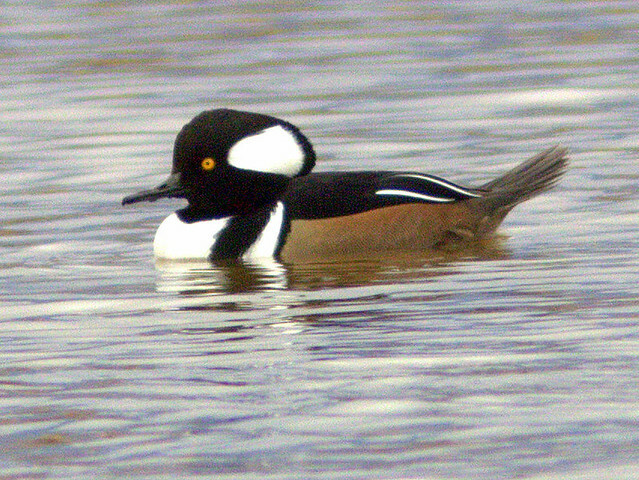 We saw several Hooded Mergansers. Inside the Interpretive Center, we were delighted to see our old friend, Sondra Williamson. 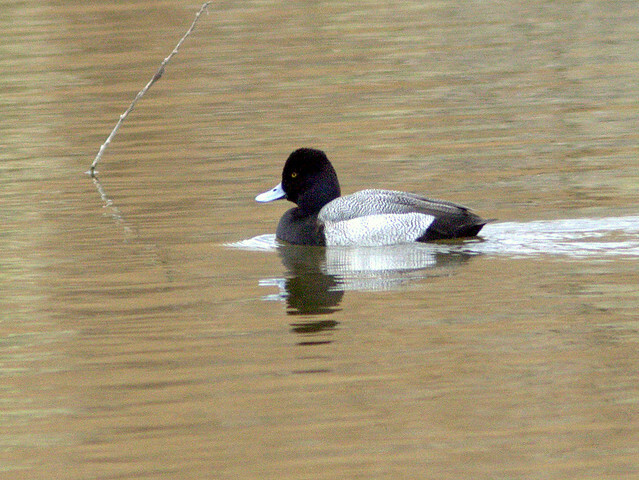 Sondra was sitting on the couch in front of the big picture window that overlooks the pond, pointing out and identifying the ducks for visitors. 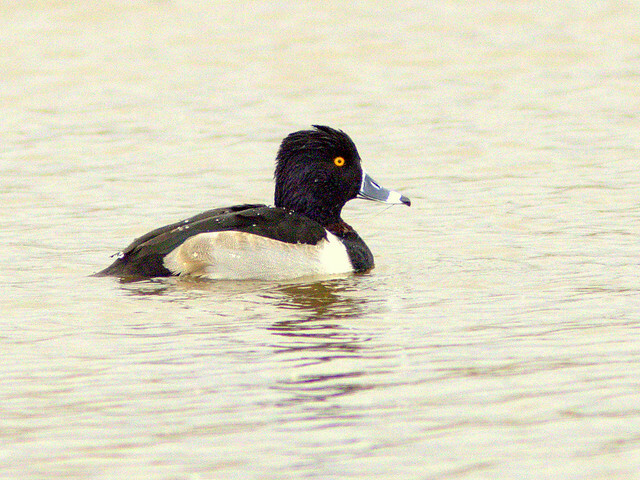 A Ring-necked Duck and a Lesser Scaup provided an opportunity for her to compare their features. 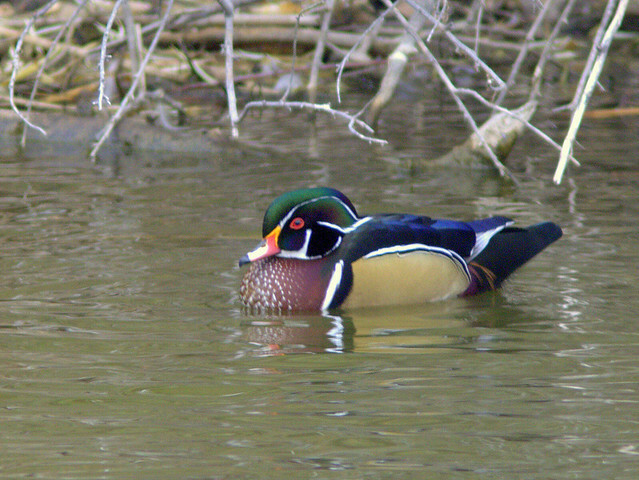 …and a spectacular male Wood Duck, roosting next to the pond before taking a swim. 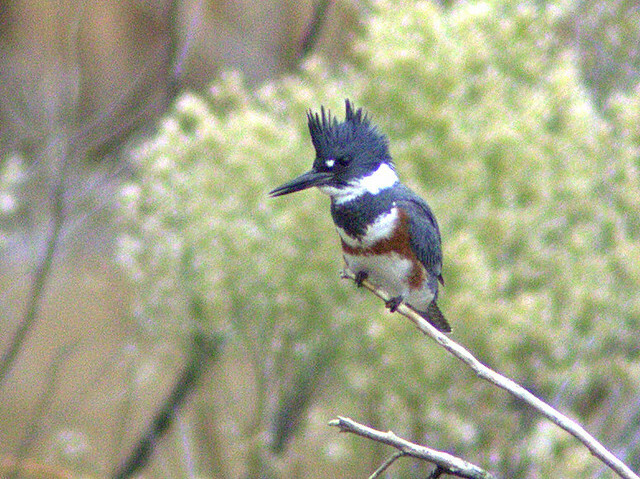 A female Belted Kingfisher hunted from a perch on an island in the pond. 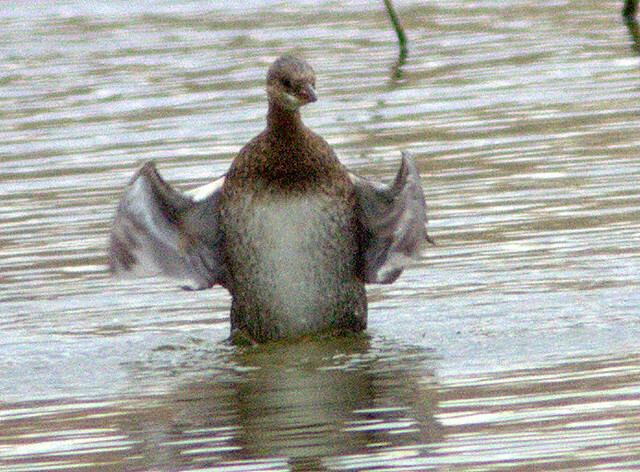 A Pied-billed Grebe flapped in place. On our final full day, we again visited Sandia Crest, then explored the western foothills of the Sandia Mountains. Lomas Canyon Open Space provided a nice view of Albuquerque, but was not very birdy. 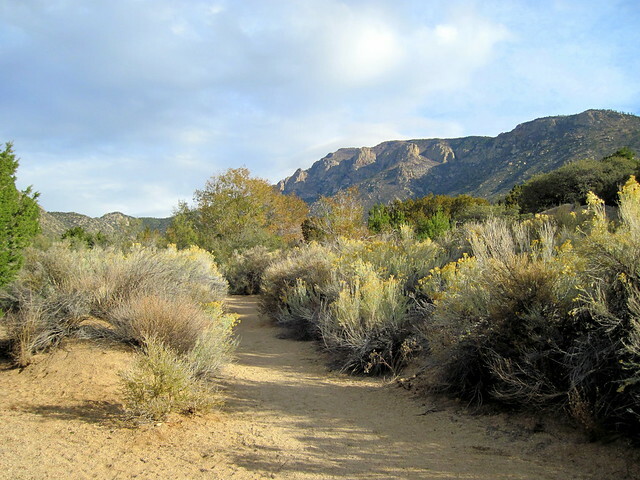 Embudito Canyon Open Space, not far away, offered a wonderful contrast. It was a bit greener than Lomas. 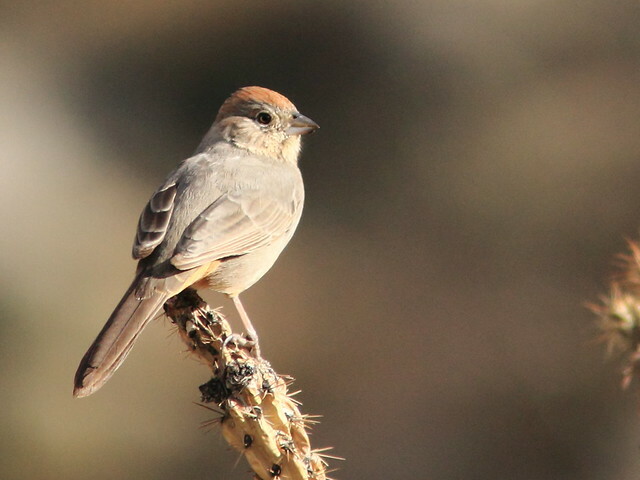 There had been recent reports of a Golden-crowned Sparrow as well as Canyon Wrens. 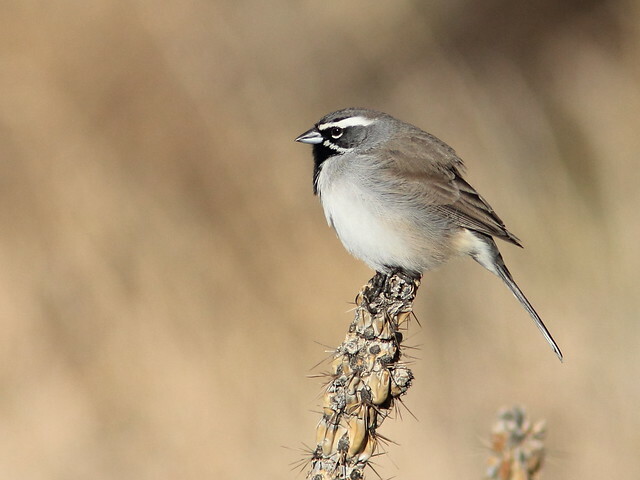 As we entered the gate at Embudito, we were greeted by at least a half dozen Black-throated Sparrows. 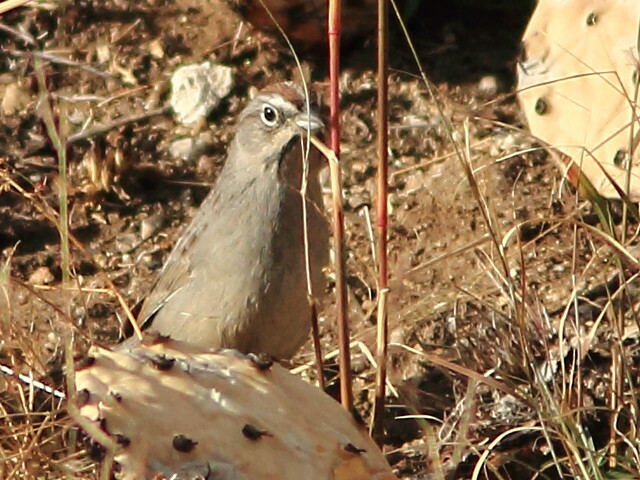 Although they can be elusive, Canyon Towhees were abundant and out in the open. Curve-billed Thrashers sat atop the tallest Cholla branches. 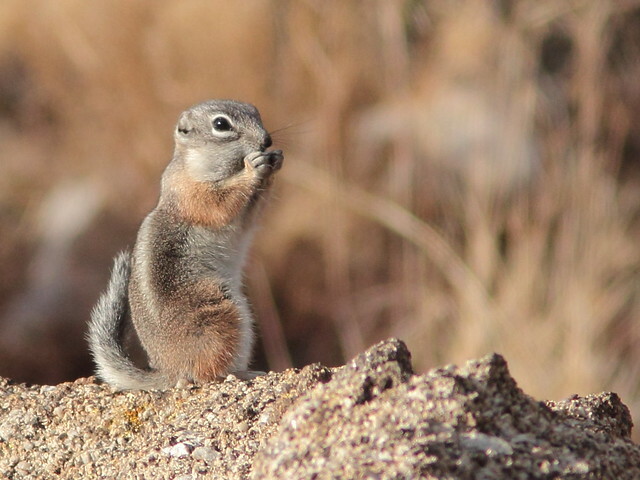 A little White-tailed Antelope Squirrel eyed us anxiously. Time was running out, as we had a dinner date with some old friends and neighbors. 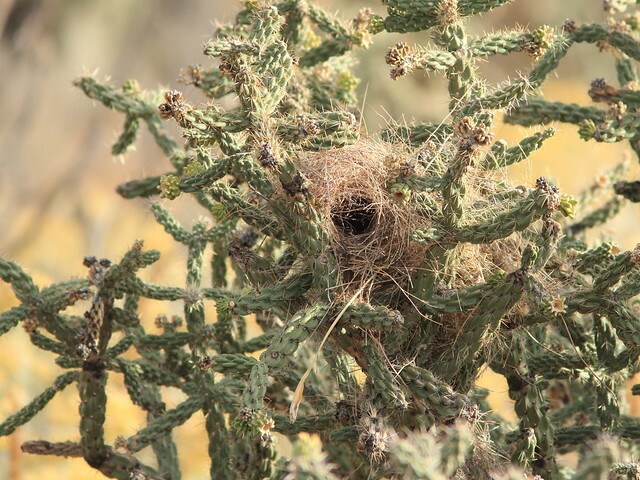 We found neither the Golden-crowned Sparrow nor the Cactus Wren, though we did see a fresh nest belonging to the latter. 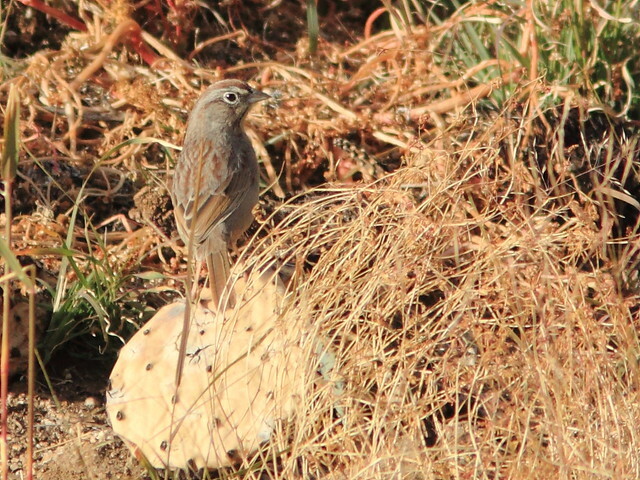 Unexpectedly, a Rufous-crowned Sparrow made an appearance. We had great binocular views, but I did not get very good photos. 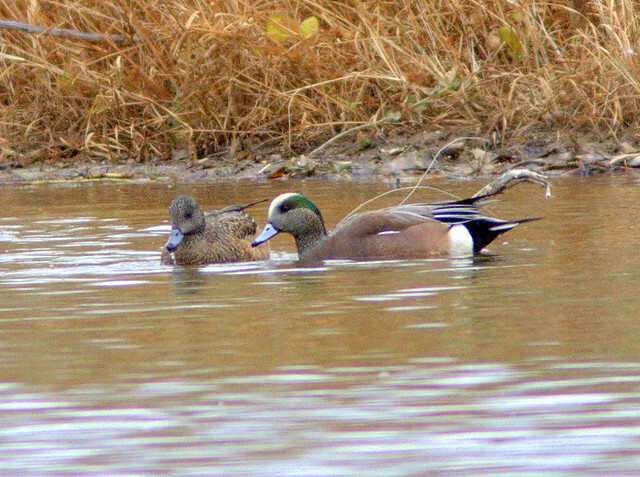 December 3rd, 2011 at 6:16 am What a great birding outing. A great collection of birds and photos. December 5th, 2011 at 6:50 pm Another great post, Ken! Fantastic photos of so many species! Oh, and thanks for the award!! I am working on passing it on. December 6th, 2011 at 9:37 pm Those pine siskins are really gutsy little birds when I have had them visiting for the winter..I love the wood ducks!!! December 7th, 2011 at 9:43 am Fantastic shots, Ken! Wow! 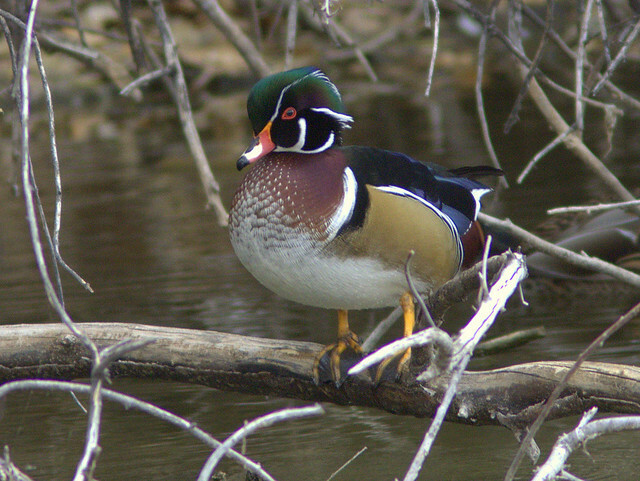 The colors in the wood duck are amazing! You got some great photos! December 7th, 2011 at 11:16 am Astonishing post Ken. How refreshing to see some cactus. I love those wide open spaces. 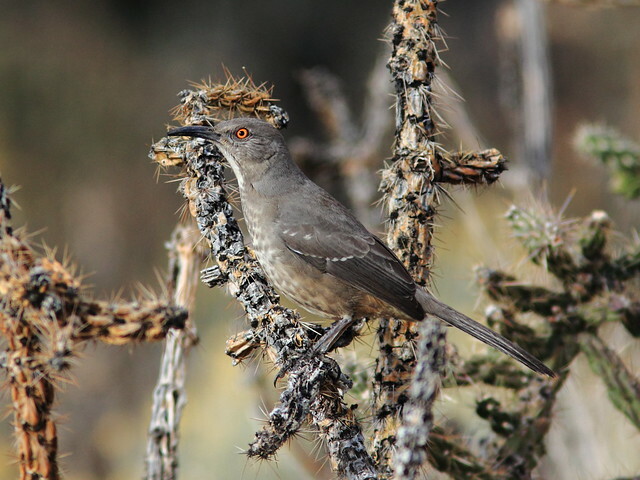 The Curved billed thrasher photo is an instant classic! December 7th, 2011 at 1:53 pm I’m taking a few minutes to catch up on blog posts before the day really gets going! 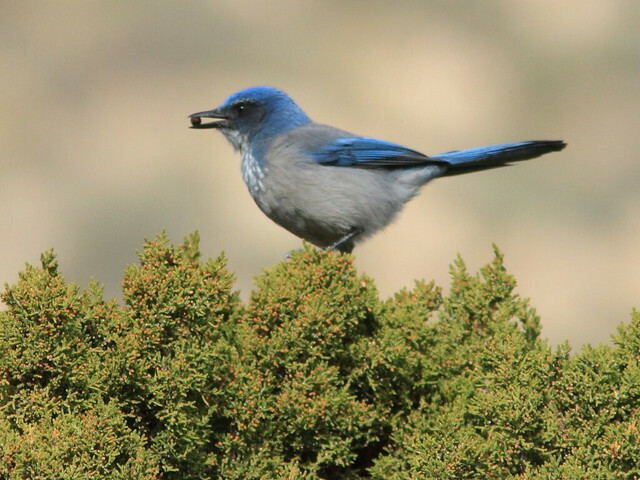 Your birds are beautiful as usual but the canyon scenery is spectacular. Scenery such as this is something that makes reading other blogs so special for me. Thanks! December 7th, 2011 at 1:55 pm Beautiful sequence!! Boom & Gary of the Vermilon River, Canada. December 7th, 2011 at 2:07 pm Wow! Ken you have some wonderful wildlife to see on your patch…. beautiful images to see. December 7th, 2011 at 6:23 pm Oh my! I was going to comment on the ladderback in the cholla, then there was squabbling at the feeder, then you hit me with the wood duck, and I was smitten with the black throats…bird overload! My head is spinning! What a great assortment. Well done.